If the Windows PC market is in big trouble, someone forgot to tell Lenovo and Samsung. Late last week, within 24 hours of each other, the two Asian tech giants unveiled broad, new product lines. Following recent announcements from other major players, a critical mass of next-generation Windows 8 machines is now coming down the pike. But it’s not the quantity that’s most impressive—it’s the diversity: The arrivals cover every shape and form of portable PC, with touchscreens galore, and even some daring dual-boot systems. If the PC market is dying, vendors are responding not with resignation, but with innovation. And there are some good reasons this is happening, which you'll see as we take a peek at some of these beauties. Crawford del Prete, chief research officer at IDC, says the Lenovo and Samsung announcements show how fundamentals are coming together for the PC market. “Haswell should significantly improve battery performance," del Prete says. Haswell is the code name for Intel’s fourth-generation Core processor, and it's finally starting to show up in new systems after months of hype and buildup. Early tests of the Haswell-powered Macbook Air indicate that the chips do, indeed, deliver on their promise of maintaining great CPU performance along with much longer battery life. Haswell also brings with it a new Ultrabook spec for PCs that calls for thinner, touchscreen-equipped machines that will play better with Windows 8. Speaking of Windows 8, Windows 8.1 is just around the corner. 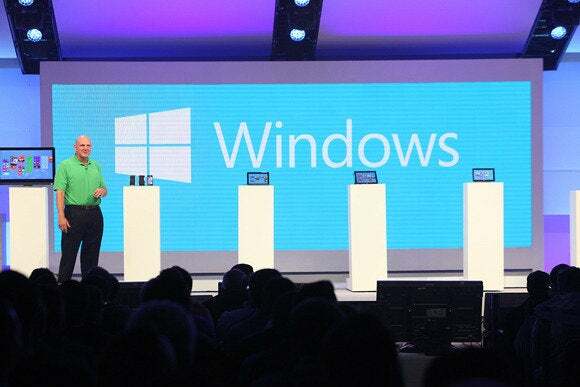 "Windows 8.1 will be a more familiar interface for customers that have objected to Windows 8," del Prete says. Hopes are high that the operating system's impending makeover will finally convince users to upgrade—and maybe buy a new PC at the same time. The coming of Windows 8.1 could bring greater demand for new PCs. One innovation that could have helped Windows 8 last year is the touchscreen, which is now finally cropping up in more systems (and is required for all Haswell-based Ultrabooks). “Consumers are looking for touch and alternative form factors like convertibles and detachables,” says Patrick Moorhead, founder and principal analyst at Moor Insights. The Samsung Ativ Book 9 has an incredibly high-resolution touchscreen display and an aluminum chassis. The just-announced Samsung Ativ Book 9 Plus has no pricing or ship date yet, but it's an Ultrabook and then some. Weighing a mere 3.06 pounds, its 13-inch touchscreen display sports an outrageously high resolution of 3200 by 1800 pixels, and its aluminum chassis is just over a half-inch thick. Oh, and Samsung says its battery could last up to 12 hours. Notebooks like this could make you fall in lust with a Windows PC as easily as you could with the Macbook Air or a Chromebook Pixel. Or that's the industry hope, at least. But even if the Samsung Ativ Book 9 Plus ends up costing an arm and a leg, Lenovo's new IdeaPads will offer touch capability at more affordable prices. The IdeaPad S210 Touch, for instance, will start at $429 and include an 11.6-inch HD touchscreen display. The IdeaPad S210 Touch has an 11.6-inch touch display and starts at $429. The tablet/hybrid space remains fertile ground for innovation. The Lenovo Miix, as its name (which is not a typo) suggests, is designed to be versatile. It uses an Intel Atom dual-core processor and has a 10.1-inch screen with a 1366-by-768-pixel resolution. You can buy a detachable folio case with a built-in keyboard. It’ll cost $500 to start and is supposed to last ten hours on a full charge. 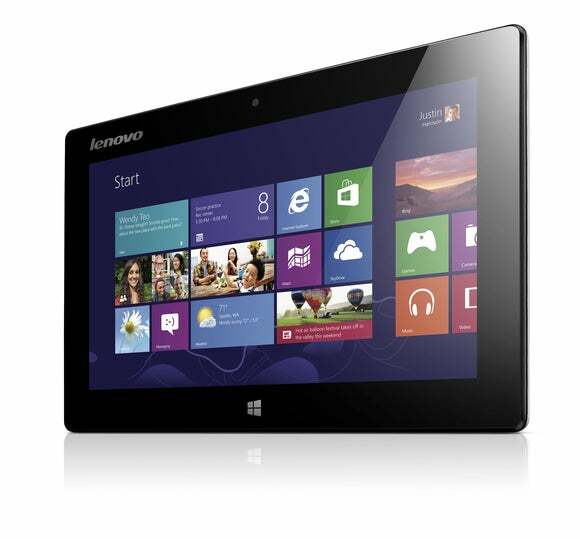 The Lenovo Miix is a full Windows 8 tablet with a 10-hour battery and an optional keyboard, starting at just $500. The Samsung Ativ Tab 3 is a Windows tablet designed to make iPad users pause. It's bigger, with a 10.1-inch display, compared to the iPad's 9.7-inch one. It's thinner, at just 0.32 inches thick compared to the iPad's 0.37 inches. And finally, it's lighter, at 1.21 pounds compared to the iPad's 1.44 to 1.46 pounds. You can quibble over all the other specs—the iPad's Retina display remains superior, for instance--but still, the gauntlet has been thrown. The Samsung Ativ Tab 3 is incredibly thin at just 0.32 inches, and it weighs a mere 1.21 pounds. At the recent Computex show in Taipei, PCs were overshadowed by mobile and Android devices. Acer even showed a PC-sized Android prototype that rattled our perception of what a PC could be. Acer's PC-sized Android system at Computex in Taipei was seen as a threat to Windows PCs. The Samsung Ativ Q is a tablet-laptop hybrid that can dual-boot to Windows 8 or Android 4.2. The Ativ Q is an odd duck, to be sure. And the breadth of its innovation—or weirdness?—tells us something about the conversations vendors are having in their strategy sessions. "It indicates PC manufacturers are still in exploration-mode, looking for that silver bullet to turn around PC sales," analyst Moorhead says. "For Windows 8, it indicates what most in the industry already know: Windows 8 lacks the right apps." For JP Gownder, vice president and principal analyst at Forrester Research, the Ativ Q has inherent limitations. "Android is not going to be a substitute for Windows," Gownder says. "It has the same problem as a Chromebook: How does it fit into your overall computing environment?" No one knows how many of these products will still be around in a year, but their innovative spirit shows that PC vendors aren’t giving up. Moorhead sees the new models as filling important holes in the Windows 8 product mix. "The new offerings could help to solve two things that have inhibited sales of Windows 8: the lack of touch and the high prices for convertibles," he says. If nothing else, in less than a week, the selection of Windows-based machines got more interesting. And that’s exactly what the PC market needs.